The risk of injury from tripping over badly cracked concrete or uneven loose paving disasters shouldn’t be ignored. We are all responsible for duty of care these days. Over the years with excessive summer heat and winter dampness soils expand and contract, they move and subside. Solid structures move then settle leaving undulating or cracked unsightly surfaces. As each season comes and goes the problem compounds, cracks and undulations increase. Tree stumps, root systems and any foreign matter left underground in the initial stages of the building process can also cause problems. Not to mention ugly trip hazards, dangerous, unsightly and a legal minefield! This is not needed, the solution is simple. 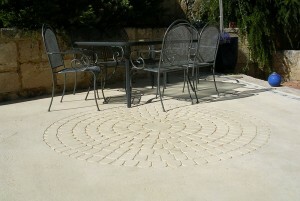 Cracked concrete and undulating pavers are irritating toe kickers and tripping safety risks and need to be dealt with. Remove and replace process can be somewhat daunting and overwhelming. However with careful planning, the right people and a guiding hand the whole process can happen quicker than you think and at the right price. 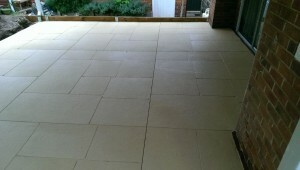 Inside a week those unsightly unwanted weed growing pavers or faded cracked concrete areas can be gone and replaced with exposed aggregate concrete or liquid limestone. With some effort, transforming the exterior of your property will not only enhance your lifestyle, it will also add value to your asset and really impress your friends. Our Perth climate allows us the luxury of outside living most the year around, so why not enjoy a new fresh exterior living area, easy access driveway and crossover that possibly will add capital growth to your main asset. Exterior restoration is paramount in creating the right environment for healthy outdoor living. Be prepared and make your home lighter and brighter ready for summer.